Wow!!! Our event has exceeded expectations and has completely SOLD OUT! Tickets will be emailed to those on the guest list within the next week. Please bring them with you on the day. Please let us know if you cannot make the event anymore. 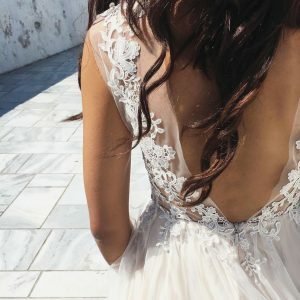 A show like no other where you will find us, along with our amazing supplier friends and one spectacular catwalk show presenting our collection of wedding dresses. Doors open at 12noon and the event is free to attend by ticket only with a maximum of 3 guests per bride (girls only). This beautiful function space has all the industrial character you’d expect from a mill dating back to 1823. 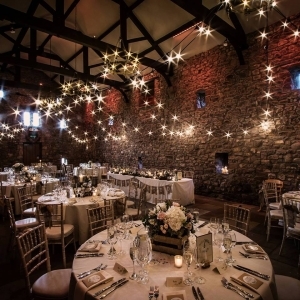 Inside think beamed ceilings, exposed walls and iron work complimented by a choice of tables and chairs for your perfect day. Come along and say hi to us and the team! For the first time ever we are planning a winter themed Christmas open day… It will be an experience not to be missed! For this weekend only the boutique will have the FULL collection of Catherine Deane bridal dresses and separates including the new 2019 pieces. The boutique will be taking bookings as normal for appointments on Friday to Sunday. Each appointment will be 1.5 hours and there will be lots of treats on the day. Each bride will receive a complimentary accessories voucher with any purchase on the day. Telephone or email to book in. Come and join us at this multi award winning venue along with some of the very finest suppliers from the North West. The pizza oven will be in full swing and there will be food demos from caterers Twelve. There willa also be the launch ‘The woodland Glade’ comprising 10 luxury lodges. 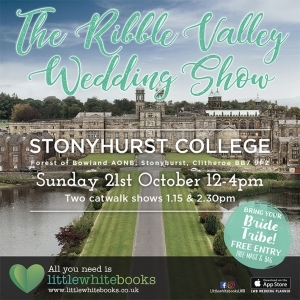 You’re invited to the most comprehensive, supplier-packed, aspirational Wedding Event in the whole of the Ribble Valley! The Ribble Valley Wedding Show features up to sixty of the area’s leading wedding businesses, including leading wedding venues. The impressive & iconic Stonyhurst College is situated on the Stonyhurst Estate near Clitheroe, occupying a Grade I listed building. We are very excited to be bringing the Shikoba Bride collection to Kimberley Anne Bridal Boutique from the 11th of October for two weeks only. More information is available on our recent blog post. Bookings are now open, and we suggest you book early to avoid disappointment! Book by telephone or email. Every YES bride during this period will have the chance to receive a FREE bridal bouquet from the very talented Sam Williams Flowers! 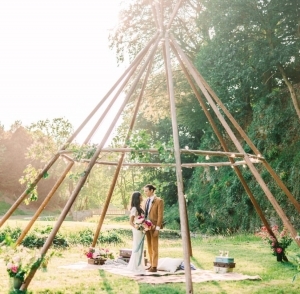 Outdoor Wedding Open Weekend which will be taking place at the end of September in conjunction with Big Chief Tipis! 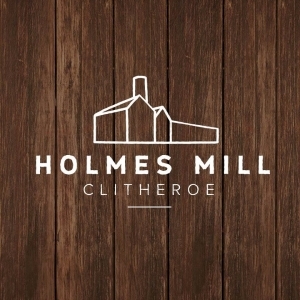 A number of their Big Hats will be built overlooking the River Ribble on our enchanting Estate Grounds next to our newly renovated Riverside House. During the weekend, there will be a number of suppliers showcasing what they do best, in addition to the house being open for viewings. Due to the high demand for appointments last month we have decided to host another Designer Weekend. For this weekend only the boutique will have the FULL collection of DANDO LONDON bridal dresses. You don’t want to miss out on this amazing weekend where you’ll find so many beautifully stunning dresses from the Signature & Passion 2018 Collection. The boutique will be taking bookings as normal for appointments on Thursday to Sunday. Each appointment will be 1.5 hours and there will be lots of fizz and treats on the day. Book soon to avoid disappointment as these weekends get fully booked so make sure you telephone (01200 538988) or email (hello@kimberleyannebridalboutique.com) for your private appointment. We are so excited to welcome the amazingly talented star of the hit TV show Extreme Cake Makers, Rosie Cake-Diva, to Kimberley Anne Bridal Boutique on Friday 4th May for our VIP Royal Wedding Party! Rose will be bringing the most extravagant Royal cake to our boutique where our special VIP guests will be treated to champagne and delicious cake in the run up to the Royal Celebrations for Prince Harry and Meghan. The cake will be adorned with flowers from Sam Williams Flowers in our boutique window until the Royal Wedding Weekend. Arthur Geldard Music will be singing to his hearts content in the courtyard whilst Nala and Knot will be hosting a demo on our Meghan model for our Meghan Make Over! We will also have the amazing Freya Rose shoes on display throughout the weekend. The Mayoress of the Ribble Valley will be making a special guest appearance to taste some of Rose’s delicious cake. The event is by invitation only, so if you would like to get on the guest list, please email us on hello@kimberleyannebridalboutique. 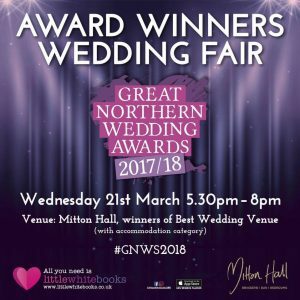 Meet the Winners of the Great Northern Wedding Awards 2017/18 at Mitton Hall at our unique wedding event. Our winners will be collaborating on a styled wedding photo shoot during the day which will be shared across all our social media channels so you can watch this live during the day. Then from 5.30pm till 8pm, the doors will open and you are invited to attend our Wedding Fair and meet the region’s leading wedding businesses. Free entry. 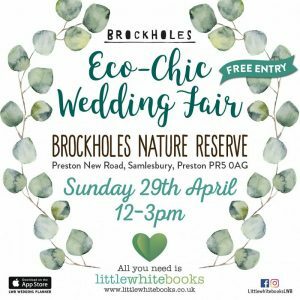 Our very first Eco-Chic Wedding Event at the Brockholes Nature Reserve at Samlesbury. 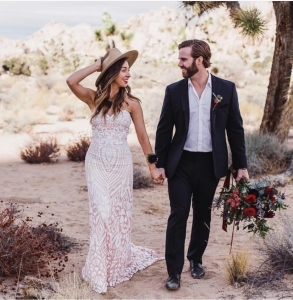 Perfect for the boho-bride, we will be showcasing a mix of suppliers including those whose work specialises in a boho, natural wedding theme. Hidden within a nature reserve and featuring a unique floating design, Brockholes offers a truly memorable setting. 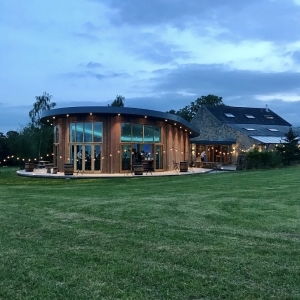 Set in the heart of a Lancashire Wildlife Trust wetland nature reserve, this eco-friendly wedding venue floats on the lake amongst the reeds. Our wedding fair will feature up to 30 local and regional suppliers. Our show features Kimberley Anne Bridal Boutique, winner of Best New Business in the Great Northern Wedding Awards 2017/18, and will showcase her incredible Best of British bridal designers.